For a short week, we sure are getting thrown around quite a bit. With market breadth readings at extreme levels for the past few weeks, I've been relying on my QQQQ trend indicator to help gauge when to get in and out of the market. Normally, I look for price to cross over or cross under the 5 day ma paired with a significant breadth thrust in that direction. This move usually confirms a new uptrend or down trend. 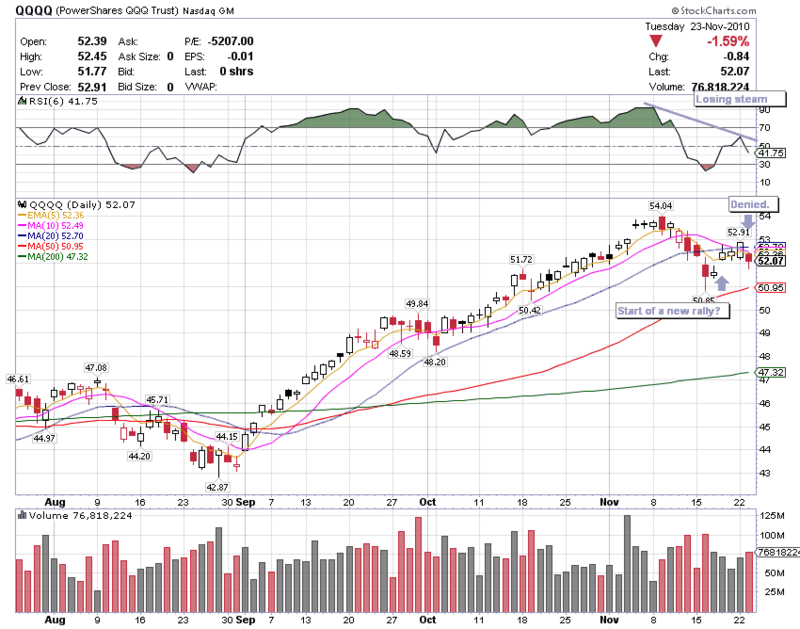 The market was looking good a few days ago when we gapped up above the 5 day MA. At the time, breadth seemed weak but it was enough to get things going. 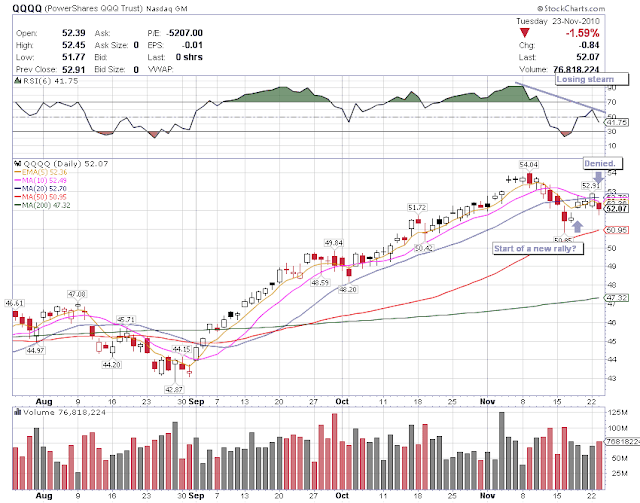 Today, we reversed with a bounce off the 20 day MA which is not a promising sign. Volume was higher today compared to the past few days...another ominous sign. What does this mean? Play it safe, do not take any unnecessary risks and honor your stops. It is possible we work through this over the next few days and head into a end of year rally. The other option is further correction. No Response to "Playing it Safe"